threads complement the fine Embroidery. 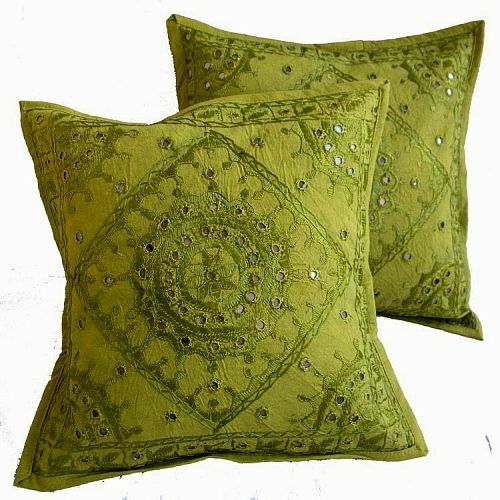 Little mirrors which are sewn in by hand in each cushion add a sparkling elegance to this design. The embroidery is on a 100% Indian cotton base. Each cushion cover is hand made in the villages of Barmer in Rajasthan.